A recent addition that has come to light with Google’s search engine is the addition of what is being called ‘zero result searches’. This is the name given to results where zero organic results appear for a search, with simply a rich snippet box appearing instead by itself. Such an example of this includes time, dates, calculations, conversion of units and other simple searches with definitive answers. 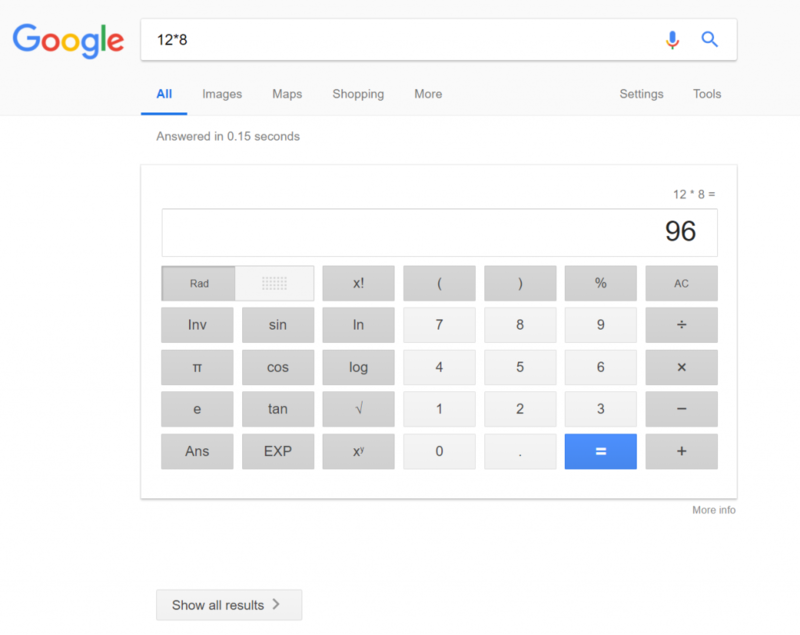 For example, by searching on Google for ’12*8′, a calculator appears with the answer, and a lack of any organic search results. Even though no organic results appear for such a results page, Google will still place a ‘Show all results’ button at the bottom to enable access to all of the organic search results. It is a very interesting move by Google to do something like this, considering that it will not be helping a lot of websites out. For example, there are many websites that make money from offering time zones, calculators and stopwatches. Will these websites simply lose out to such a change on Google? Maybe, but most likely not. This is because every test that Google does has one thing in mind: to make the web user’s experience when using the web better. If the vast majority of people do not view organic results for certain queries, since the rich snippet satisfies their search, then what is the need for displaying all of the results? It uses unnecessary resources and will inherently make the web page slowly to load for no benefit to the web user. What is particularly interesting is that, depending on the zero result search phrase, paid search results can still appear above or below the rich snippet. For advertisers, it might be a good idea to re-target your keywords to zero result searches, to see how much of an effect this change by Google will have to your click through rate and conversion rate of your PPC campaign. 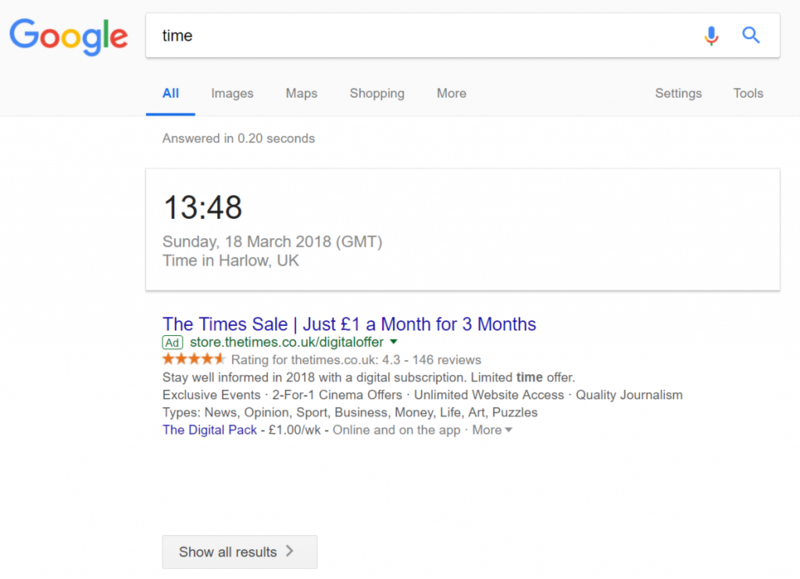 When Should You Create a PPC Campaign?